When the Heart Sings is full of universal lessons for all of us: forgiveness, patience, and finding friendship in the unlikeliest of places. 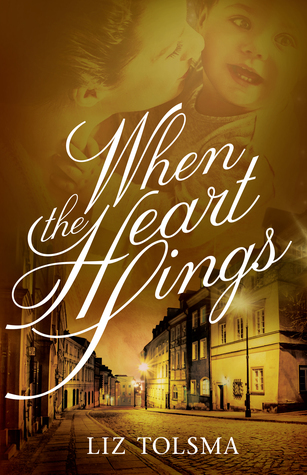 When Polish Christians Natia and Teodor are forced from their home and deported to a German labor camp, they endure very different but equally heartwrenching circumstances. Teodor, always under scrutiny by Erich, the camp overseer, faces extra cruelty and work demands. Natia, living as the housekeeper in the overseer's home, faces a very different set of challenges. Home alone all day with Elfriede, Erich's wife, she is forced to take over all housework. As they slowly learn to communicate, Elfriede and Natia discover that they have more in common than they realize. When Natia brings a Jewish baby into the home, she and Elfriede are determined to love the baby and to keep it safe from Erich at all costs. The way that this plays out and the sacrifices that are made are truly inspiring. "We look at our circumstances and see things as not good. But we don't see the picture clearly, as the Lord does. He knows what's going on. Things happen just the way he has planned they will. We aren't to find our joy and contentment in people or in our circumstances, but in him." When I read that, I had to put down the book and think for a minute about how truly blessed I am. It's so easy to get caught up in my everyday problems, and some of them are genuinely stressful, but truly, there is nothing that I can't get through with the Lord's help. I've never been good at praising the Lord in times of trial, but if victims of the Holocaust can do it then so should I. I'm so grateful to Liz Tolsma for this touching reminder! *I received a complimentary copy of this book from Gilead Publishing through NetGalley. Opinions expressed in this review are completely my own. This sounds like a good read that I'm looking forward to reading. It's one of my favorite genres but I'll admit it's hard to read about the atrocities that occurred in the concentration camps but it was also a reality. I wasn’t sure about it at first, either. I will say that it’s less brutal than other books I’ve read and movies that I’ve watched. I’m excited to read the rest of this series now! After the success of the first story, I'm sure this one will also be much-loved! Thanks for helping us host, Karen! Nice to be part of such a great group, and congratulations to Liz on so much success! Thanks for commenting, Liz! We appreciate seeing your smiling face! 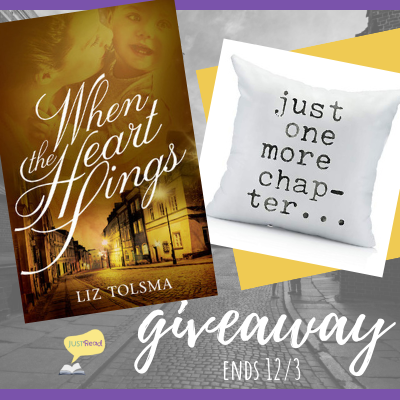 Thank you for your review on "When the Heart Sings" by Liz Tolsma, and for being part of the book tour hosted by JustRead Publicity Tours!.